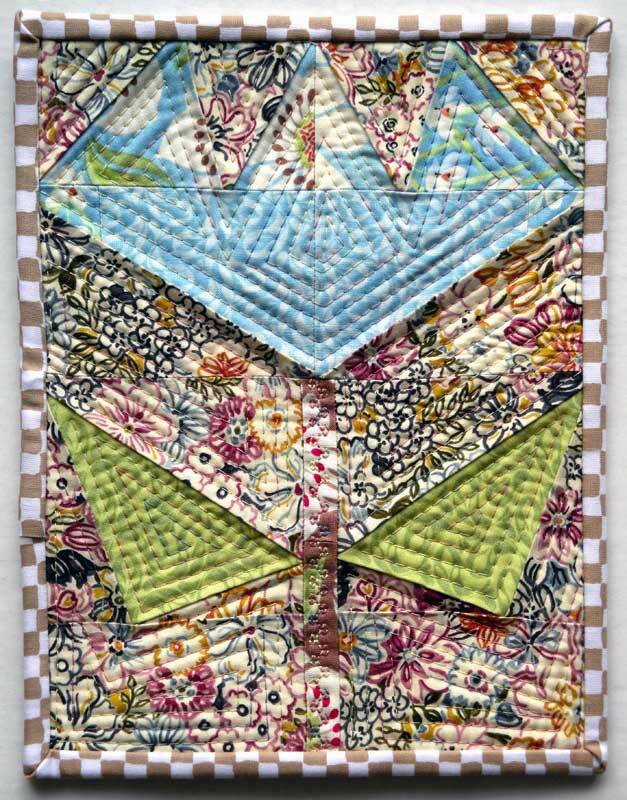 While wasting time one evening, I visited the web site for Art Gallery fabrics and saw this project to make a paper pieced lily. The PDF pattern is slightly different from the finished project shown in that the leaves on the reference sheet (page 2) have the leaves in pieces, but the pattern pieces are one whole. A small error in the pattern is that piece f should be a mirror image of piece e. If you piece as shown on the pattern, then both leaves are facing one direction rather than facing each other. Who needs sleep? I was instantly interested in trying out the pattern; it seemed a quick and relatively painless quilt block that could be replicated en masse to make a small quilt. Turns out that paper piecing takes a lot longer than strip quilting and wastes lots more fabric too, but I was too into the project to give up. Through trial and error and after way more time than expected, I ended up making and stopping at two: one blue and one yellow. 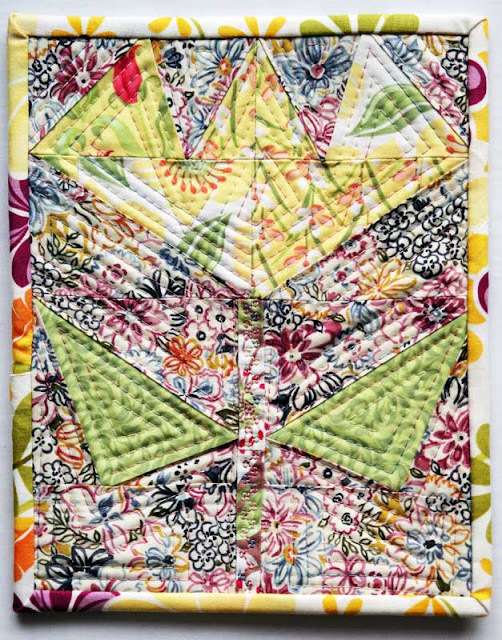 To make these experiments useful rather than just exercises in frustration, I made them into hot pads: quilted pieced top, insulbright (shiny side up), batting, and backing fabric. After some dense straight line quilting to squish the whole thing flat, I used some leftover 2" strips to make the binding and slipstitched it on. As the pattern said, each hot pad is roughly 8" x 10", which is a decent size for the average pot in my mother's kitchen. Haha! I was WONDERING what you've been up to! No wonder you've been so quiet.